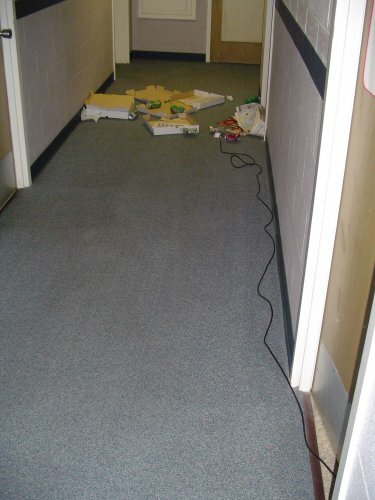 I'm going to take you behind the scenes of what dorm life really is like. 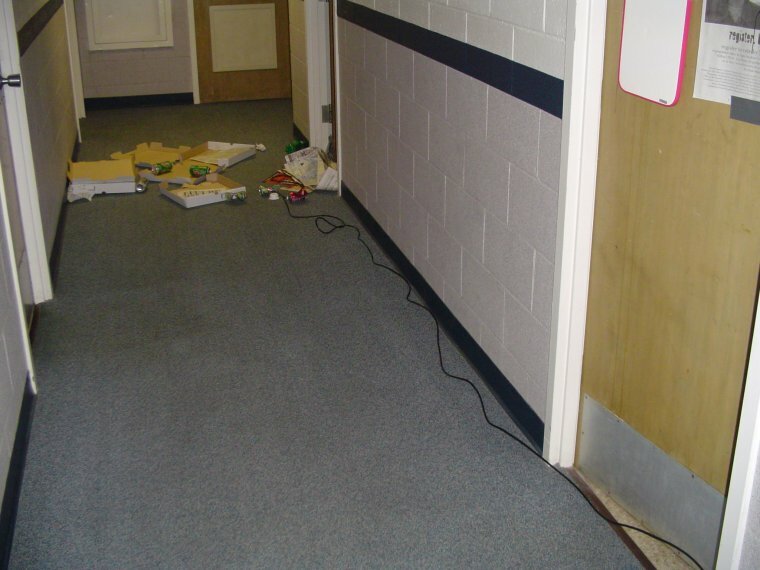 Everyone knows that it is illegal to steal cable TV but the people who do steal it usually string the split cable through the pipes in the ceiling so no one finds out. Can you tell who is stealing the cable? 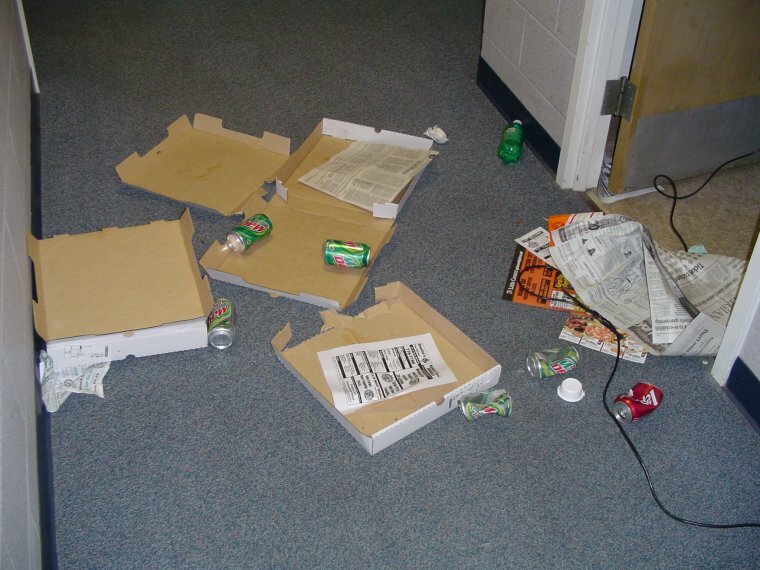 If you can't, here's a slight hint, the room with the pile of pizza boxes, soda cans and the daily paper might have something to do with it. 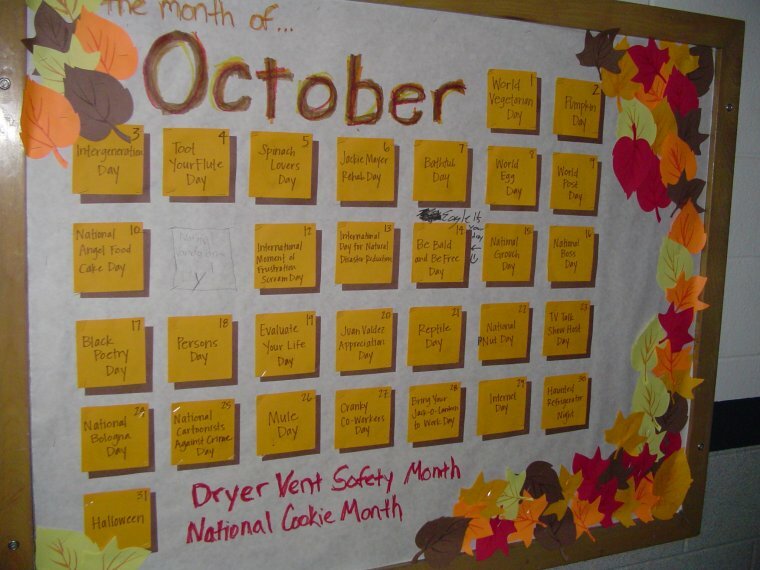 This calendar in the hallway was put up by our RA. It seemed like nothing was wrong with it till I noticed a day had been pulled off only to be replaced with pen saying "National Vandalism Day". 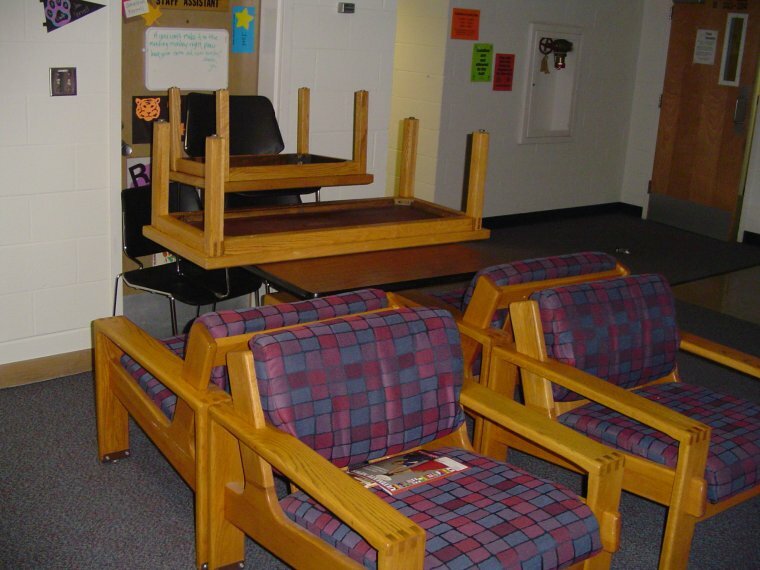 One night, I had to return some seats to the lobby and without thinking, shoved them against our RA's door. After I got back from my 1 am Wal-Mart run, I found the wood chairs and benches also added. 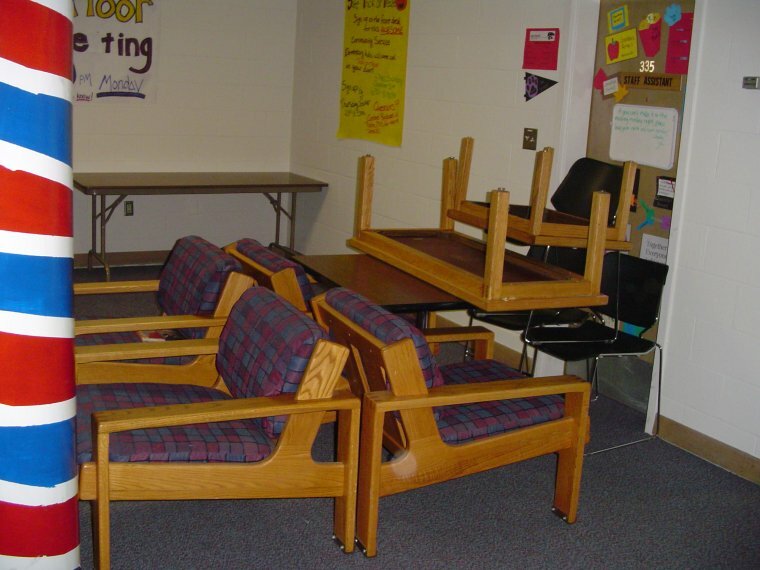 It's so nice to see our dorm can come together to do these great projects.